Today’s episode is the “Believe Me” Edition where we will discuss Attorney General’s Jeff Sessions and his two meetings with Russian Ambassadors, Donald Trump’s first address as President to a Joint Session of Congress, and the arrest of Juan Thompson, who is alleged to have made several threats on Synagogues. This week, the Washington Post published a story that shows that Senator Sessions did meet twice with Russian Ambassadors while simultaneously acting as a “surrogate” to the Trump Campaign. 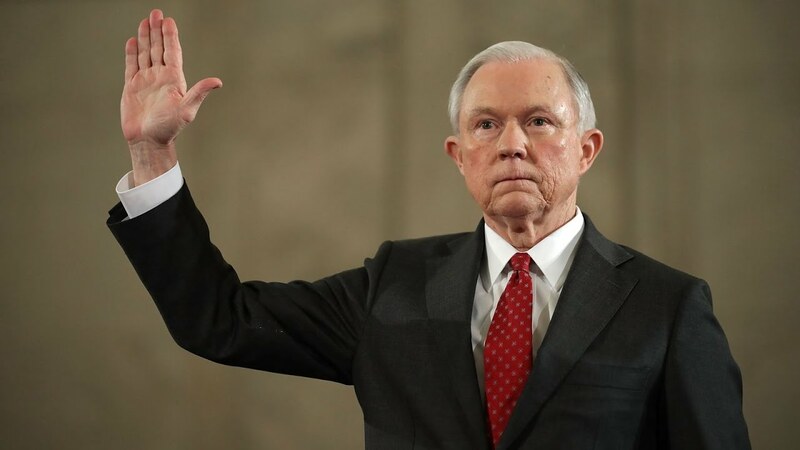 Senator Al Franken has said that this renders Attorney General Jeff Sessions’ testimony “extremely misleading.” Sessions has since vowed to recuse himself from any such investigation into the Trump Campaign’s communications with Russia. Second, Donald Trump delivered his first address to a Joint Session of Congress as the President of the United States. The tone of the speech has been congratulated as presidential, but the substance is full of lies. Lastly, Juan Thompson was arrested today by the FBI in connection with several threatened attacks on Jewish synagogues. He is not accused of the many, many, many actual attacks carried out by individuals against Jewish houses of worship since the election of Donald Trump as president, but he is charged with cyber-bullying many places of worship. My panel this week includes T-Bone (@tboneafterdark) and Mr. Bunker (@RSBUNKER). We will have the news, Blogger Fodder, and more. Listen to “The David Dorer Show” on Spreaker.